This patriotic set has factory red, white and blue stripes. 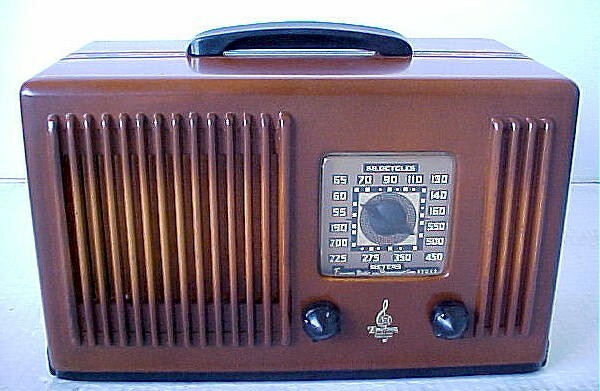 The front of the radio has been refinished, but otherwise it is all original. The cardboard back is missing. This attractive set is housed in an Ingraham cabinet. The chassis is clean and complete. It has been serviced and played well when tested. 10-1/4"W x 6-1/4"H x 5-1/2"D.